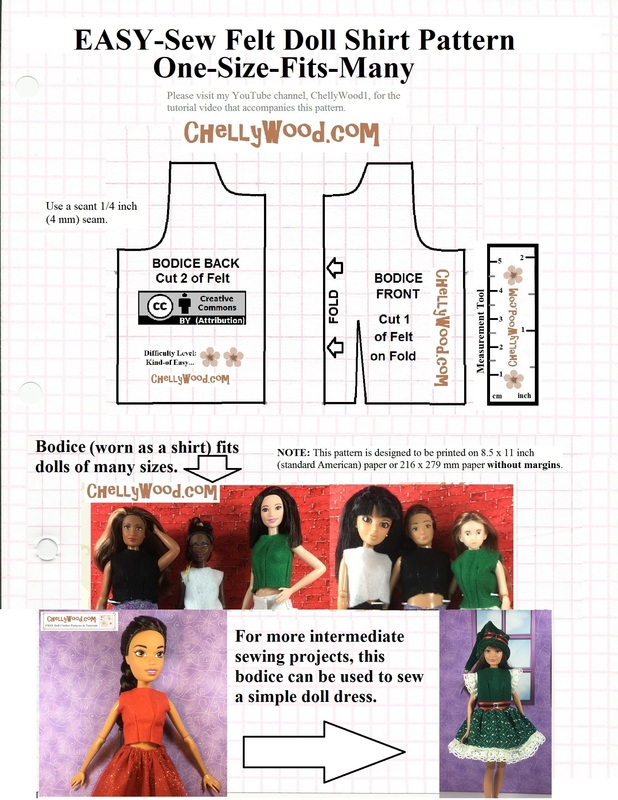 Can you imagine my surprise when I discovered that my regular-fashion-doll-sized felt shirt pattern also fit Barbie Dreamtopia Endless Hair Kingdom 17″ Dolls? Granted, without the embellishment at the bottom, it looks more like a crop top, as you can see in this photo. But it does fit! 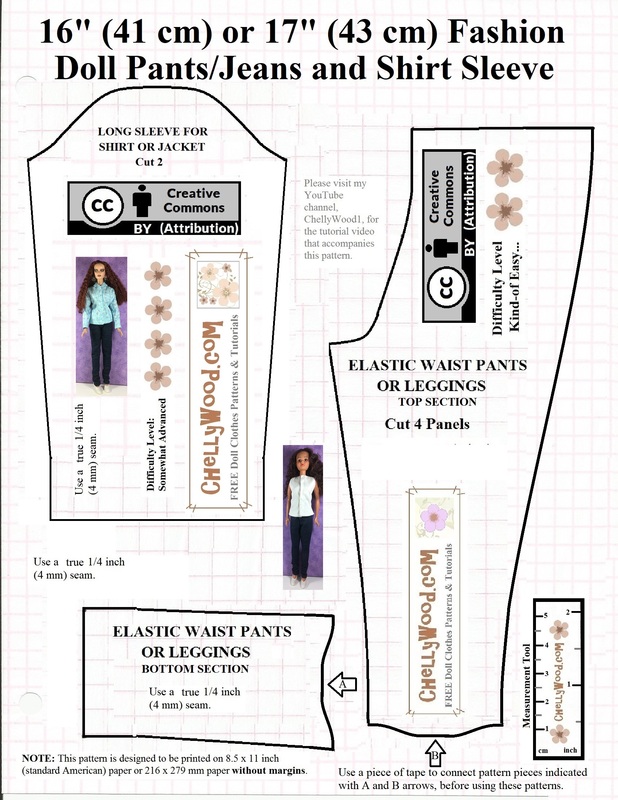 The pants or jeans shown in the image above were originally designed to fit my Tonner doll. The shirt in the image above has bias tape and other embellishments, but I would warn that any time you add embellishments to felt, it loses some of its flexibility. 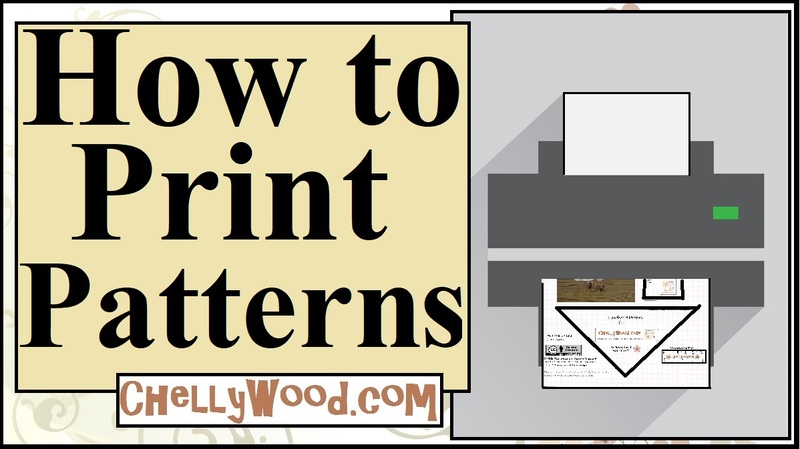 I recommend creating a simple felt shirt to try the pattern out first and see how it goes. Then, if you want to add embellishments to a second shirt, you will feel confident about experimenting with that. Previous Previous post: Happy #4thOfJuly from the #dolls @ ChellyWood.com #IndependenceDay #YAY!